The Year 5 cohort were a credit to Campsbourne both travelling to and from and during their visit to Heartlands, on Wednesday afternoon. Staff at Heartlands gave the children a warm welcome and the children were clearly impressed by the facilities at the school. 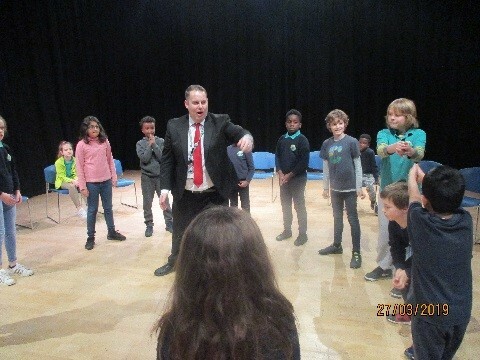 The children participated in maths, art and drama workshops; impressing the teachers with their excellent behaviour, creativity, ability to follow instructions and problem solving skills.